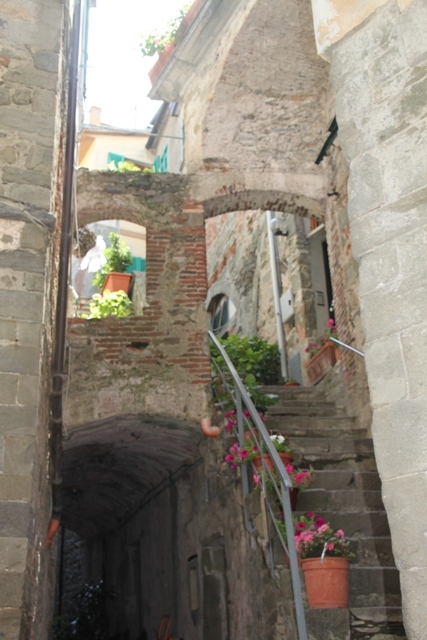 Cornigila was the first of the Cinque Terre hamlets we explored. No logic or reason we just did. 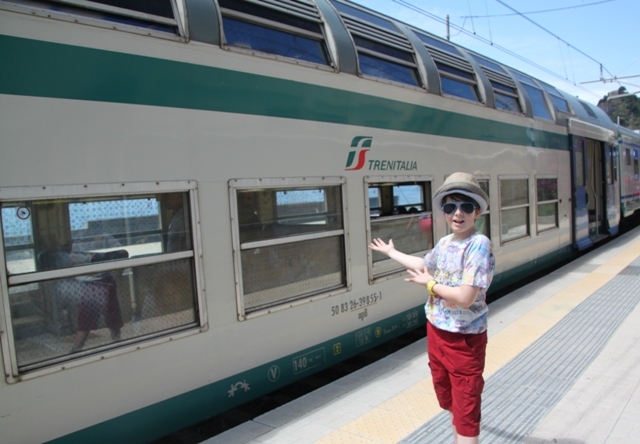 The train from Levanto was a quick ten minute hop, no views all tunnels but a big thumbs up from Son as we got to sit up top in a double decker train. 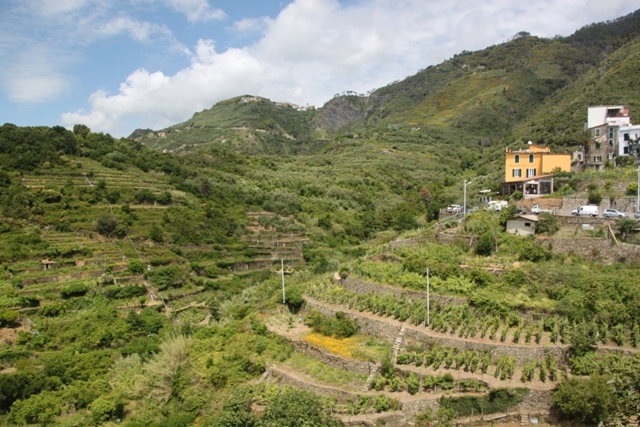 Corniglia is the only hamlet with no direct access to the sea, huddled on a hilltop you get the most amazing panorama and a climb up 365 steps to reach the village centre from the station if you fancy a challenge. We did, our rather reluctant son did not. He spotted a bus outside the station that went to the village (and was part of the Cinque Terre ticket) so jumped on board post haste and refused to get off. In hindsight he was right. That would have been a climb too far, particularly with a hike later in the day, Husband and I were optimistic to say the least. We live and learn. 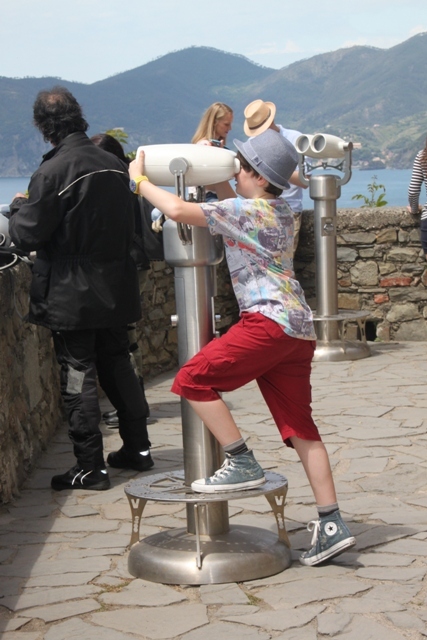 My advice – take the bus, plenty of chances later for climbing, clambering and all round pushing yourself. 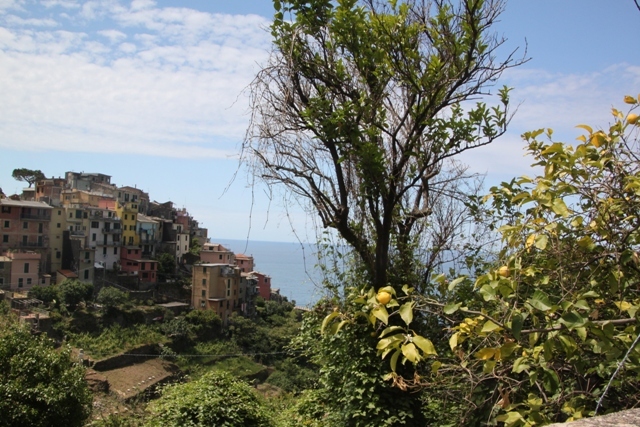 The bus wound its way up the twisty road and right into the heart of this gorgeous village, all colourful houses back to back, crushed and crammed together and perched on a cliff edge. I had read this was the least child friendly village and offered few services. I didn’t think it was any more or less child friendly than the others and as for services, it had any number of nice looking eateries so not sure where that came from either. 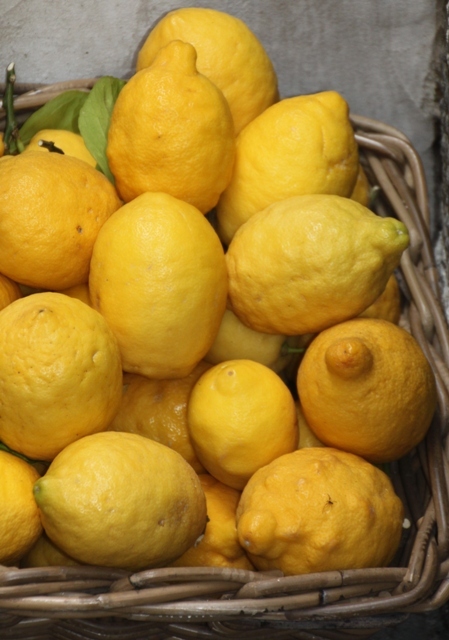 We strolled one way towards the hillside – vines, olive trees and the scent of lemons was all around. The other direction took us into the middle of the village, lots of steps to climb up and down, alleyways galore for Son to explore and terraces with amazing views over the sea. Husband had spotted a little restaurant on the bus ride to the village. 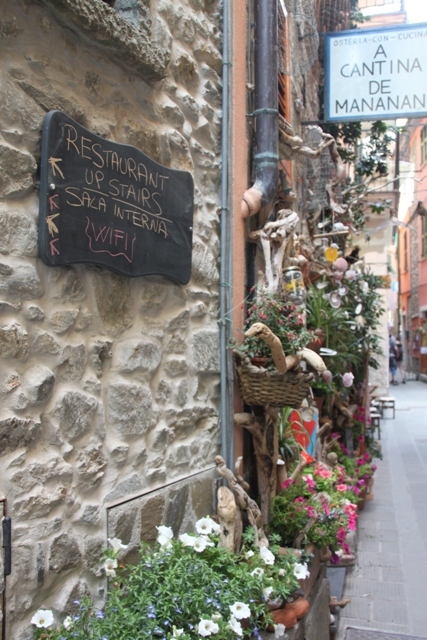 It was back downhill a little way, had its own terrace overlooking the sea and was superb. 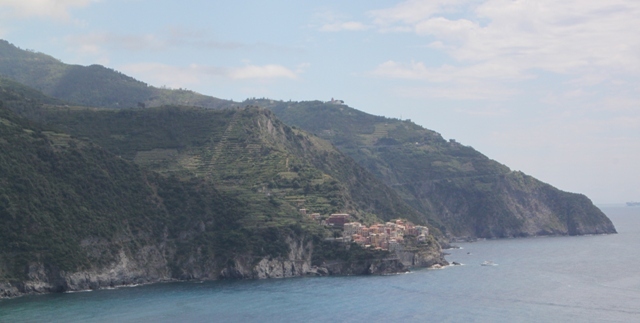 We feasted on paninis with salty cheese and ham and lapped up the views of the ocean. Thanks Rosemary, it is a stunning place, impossible to take a bad picture there! That looks to be a wonderful place to visit. Your photos really sell it. Pictures don’t do it justice, it is so much more beautiful in reality, one of the most breathtaking places I’ve seen. Wow, that looks so nice, great photos! 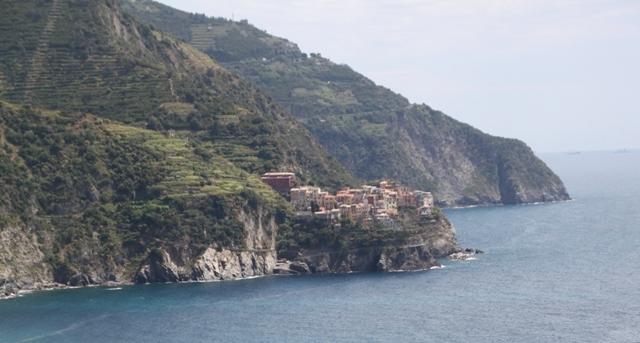 I really fancy a trip to Cinque Terre now!! Oh you have to go! It is so beautiful and although full of tourists such a great place to spend time. Charming post fit for a charming hamlet. I love your choice of the word hamlet to describe these villages. Thank you! Hamlet just sounded the right word for these cute little places it seemed to fit. Ah, Italy. Love the photos! Thank you – we love Italy too and loved this place so much. Someone else mentioned that about the Italian trains but we actually had no problems at all! Maybe we were just lucky?!! Nothing like the experience you posted about on the German trains though with the first class lounge, that sounded amazing! It was a superb holiday, one we’ll remember for a long time! Looks like a dreamy trip! It was – gorgeous with something for everyone! It is – better in reality than any picture could show! Your pictures are always so lovely! The one with the flowers is especially beautiful! I would want to sit on the top in the double decker train too! How cool! Thank you, but there is absolutely no skill required to take a good photo here, the light and colours are perfect and every picture seems to turn out good! I was every bit as excited as our son to ride up top in that train too!! Italy envy! 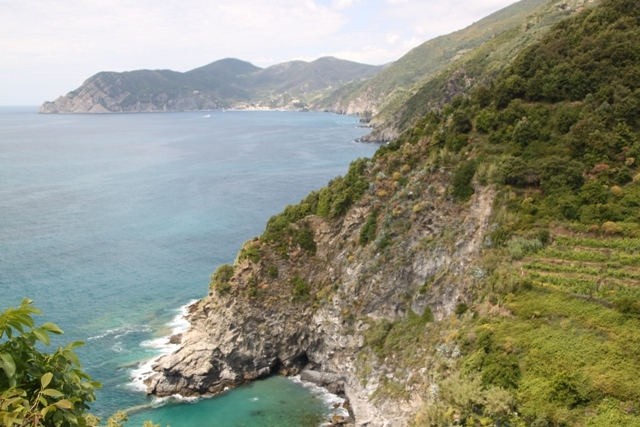 We did not make it to Corniglia – we spent too much of our time at Monterosso Beach! Well that’s not too bad a place to spend time!! We had an evening there, our son didn’t want to leave!! Great pictures! It looks like a beautiful place to explore! Thanks for sharing! Thank you! It is just stunning, gorgeous views everywhere you look, almost unbelievably beautiful! This is very funny. Were we there at the same time? I know! Enjoying your pictures very much, nice to see another perspective. We visited in June – how about you? We were there in July and I love your pictures as well. It deserves a spot near the top of the list – it’s stunning! Enjoy your weekend too!! 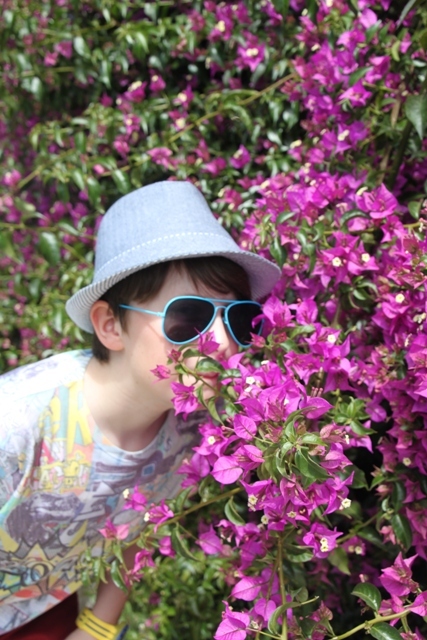 You have such gorgeous shots, and yet what I like best is your son’s hat. Every time I see it in one of your posts I think, great hat! and I never (that I know of) get around to mentioning it. I seem to have got a touch over-excited about the lemons in this place – many lemon photos were taken – no idea why…… Oh and that hat, well just going back over summer photos it seems like it appears in every shot, he seems to have been wearing it an awful lot – that plus it has been tossed up many a hill, kicked around a fair bit and squeezed and thrown and it still seems to look ok!